Malaysians have a passion for sports, especially football. It is estimated that over MYR 4 billion ($1.2 billion US) is wagered annually on sports online, with about 90 percent of that total wagered on football. Despite the popularity of online sports betting in Malaysia, the activity is illegal. Depending on which laws you’re subject to, the penalties can be quite severe. That still doesn’t stop punters from betting their favorite games. Learn more about the sports betting laws in Malaysia, the types of sports you can bet with offshore sportsbooks and how you can make a deposit at an online sportsbook. *Terms and Conditions apply to all bonus offers on this website. Please visit operator for details. Online sports betting is supremely popular in Malaysia with the majority of bettors focusing their bets on football. The reason that so many turn to online sports betting despite its legal standing is due to the lack of options in the legal market and because much of the nation is subject to strict Sharia law. Offshore sportsbooks offer punters options for betting their favorite sports with some of the best odds you can find anywhere. 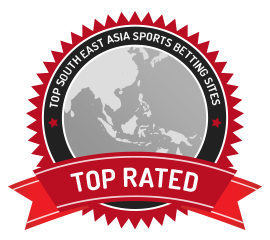 Many sportsbooks support Malay odds. You can place a wide variety of bets including parlays, teasers, head-to-head bets, straight bets, moneyline bets and much more. Check out the promotions on each sportsbook for exclusive offers to new players. Many offer welcome and first-deposit bonuses, typically with a 100 percent match. If you deposit $50, you can start betting with $100. Terms and conditions apply, so check the promotions section for more details. Is Sports Betting Legal in Malaysia? Unfortunately, online sports betting is presently illegal in Malaysia. The penalties vary depending on which law you’re subject to. For about 40 percent of the population, it is only legal to bet in live casinos and the only form of sports betting allowed is parimutuel horse racing. However, the Muslim population of Malaysia is subject to Sharia law. Under Sharia law, if you’re caught gambling, you will face a fine of up to 3,000 MYR ($750 US), a potential prison sentence of two years, or even both. The Malaysian government is serious about cracking down on “illegal gambling,” but it is focusing efforts on makeshift betting houses and bookies, not on individuals. If you plan to place bets on online sportsbooks, odds are you will be left alone provided you exercise caution with your betting, such as doing so over VPN. Former prime minister Najib Razak requested that legalized sports betting be studied before leaving office, so hopefully, Malaysian lawmakers will revisit sports betting laws soon. What are Popular Sports to Bet on In Malaysia? Football is easily the most popular sport to bet in Malaysia. The Super League, Premier League, Malaysia Cup and FA Cup receive tons of action. There’s also plenty of betting on the UEFA Champions League, La Liga, Serie A, Bundesliga and the FIFA World Cup. Outside of football, Malaysians bet a wide variety of sports. Basketball is popular, with the Malaysia Dragons of the ASEAN Basketball League (ABL) being a favorite team to bet. Punters also like to bet on cricket, volleyball and even badminton. A wide variety of American and international sports are available for betting, including the NBA, MLB, NFL, NHL, Aussie Rules football and the UFC. Some sportsbooks even take bets on various esports leagues. Do Bettors Have to Pay Taxes on their Winnings? Malaysia is a punters paradise as the government does not tax gambling winnings. Instead, it charges licensed casinos and operators a rate of 25 percent of all revenue earned. If Malaysia changes its laws regarding sports betting in the future, do not be surprised to see it change the tax laws as well. But for now, enjoy the tax-free winnings! With online gambling being illegal in Malaysia, you’re going to find your options limited when depositing to an offshore sportsbook. Credit cards and bank account deposits are out of the question as banks regularly block gambling transactions. Your best option is going to be an e-wallet. With an e-wallet, you transfer funds from your bank account or credit card to the e-wallet and then use it to make payments to online vendors. Skrill and Neteller are the two most commonly used e-wallets among online sportsbooks. You will likely have to convert your MYR to EUR or GBP to make a deposit. Other potential options include EntroPay and PayPal. EntroPay allows you to make payments using USD while PayPal allows a wide variety of currencies. Selected sportsbooks may even allow you to deposit using bitcoin or other forms of cryptocurrencies. After purchasing bitcoin, you will be able to transfer some to your sportsbook account, and the bitcoin is automatically converted into MYR or the currency of your choice to use on the website. If you’re regularly on the go, you have the option of placing bets via your mobile devices. Most sites offer mobile betting and exclusive promotional offers for mobile bettors. Many sites will offer you the option of betting via their mobile-optimized website. Just log in to the site using your device’s web browser and enjoy the same features as you would on your home PC. Other sites will offer you a dedicated mobile app for placing sports bets. While convenient, some mobile apps may lack specific functions compared to the standard PC site. Any limitations are typically spelled out in the app description. We recommend checking out your site’s mobile promotions. These offers are in addition to any on the PC site and range from free bets to match bonuses and more. Details can be found in the promotions section. You may need to access the site via your mobile device to see available mobile promotions. Note that due to the legal climate in Malaysia, we recommend that you avoid placing bets in internet cafes or over public Wi-Fi. If you choose to use public Wi-Fi or an internet cafe, please do so over a VPN.